I'm a longtime fan of Mexican singer Natalia Lafourcade, one of Latin America's most sophisticated and curious pop stars. I wrote about her when she rolled through town in summer 2017 in support of the gorgeous Musas, which surveys some of her favorite ballads from Latin America—a collection foreshadowed by her brilliant 2012 album saluting the music of Mexican composer Agustín Lara, Mujer Divina. In February she released the second volume of the Musas project, and it overwhelmed me with its beauty and soul, just as part one did. Lafourcade returns to Chicago for a concert Thursday night at Concord Music Hall in support of Musas Vol. 2, an all-acoustic recording made with the duo Los Macorinos, aka Juan Carlos Allende and Miguel Peña, who often worked with legendary Mexican singer Chavela Vargas. (Both albums are subtitled Un Homenaje al Folclore Latinoamericano en Manos de los Macorinos.) The lively arrangements highlight her melodic dexterity, and on romantic songs she conveys a mix of easy sweetness and heartbreak without unnecessary pathos or bombast. 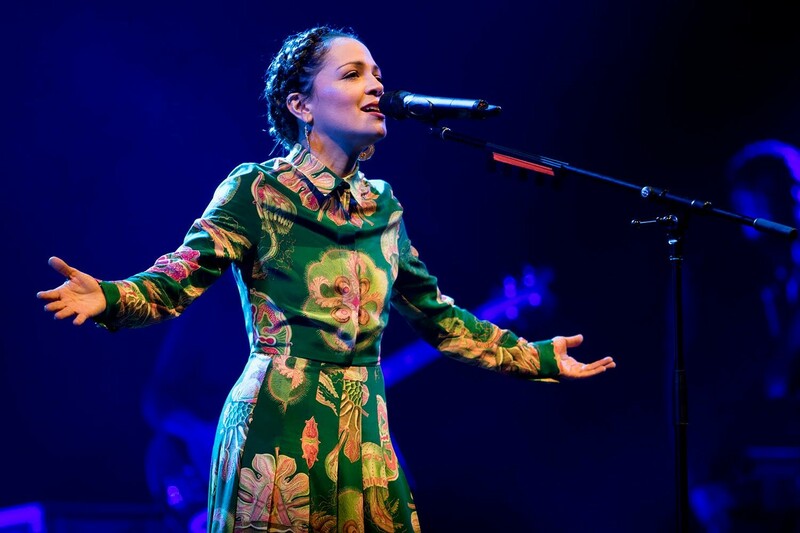 Lafourcade wrote a couple of the album's strongest tunes, including opener "Danza de Gardenias," which reflects the influence of Cuban son great Arsenio Rodriguez in its chattering acoustic guitars and Isidro Martínez's bright trumpet solo. A Cuban flavor also occurs in her version of "Desdeñosa," by Mexican composer Benigno Lara Foster, where she's joined by the great Omara Portuondo of Buena Vista Social Club fame. Lafourcade's take on the old Latin American lullaby "Duerme Negrito"—embraced in the 1960s by nueva cancion singers such as Mercedes Sosa and Victor Jara—ripples with youthful vitality thanks to an injection of coy, bubbly pop. And on a tender reading of Margarita Lecuona's Cuban ballad "Eclipse," Lafourcade remakes the song as a bossa nova worthy of Antonio Carlos Jobim. Below you can hear Lafourcade's version of "Alma Mía," a gorgeous piece by Maria Grever. Arguably the first woman composer from Mexico to achieve global success, Grever wrote more than 800 songs before her death in 1951, including "Cuando Vuelva a Tu Lado"—jazz singer Dinah Washington recorded it as "What a Difference a Day Makes" in 1959, scoring one of her biggest hits. Lafourcade's stripped-down arrangement features only the piquant guitars of Los Macorinos, and though they won't be joining her on this tour, her own working band is more than up to the task of translating this ravishing music for the stage.